Here at Perception Sales & Marketing we love to grab a travel bargain and this year Fishmore Hall has an incredible Black Friday Deal for hotel bookings. Shropshire’s Fishmore Hall has announced unbelievable savings as part of its 48-hour Black Friday flash sale. The Black Friday deal will run from 24-26 November and includes rooms from just £75 per room on a bed and breakfast basis. Located just a few minutes from the historic market town and culinary haven of Ludlow, Fishmore is a contemporary 15-bed Regency-style hotel and the perfect place for a cosy winter getaway. The amazingly priced £75 package includes an overnight stay in one of the hotel’s luxurious rooms and a full English breakfast the following morning in Forelles, Fishmore’s fine dining restaurant. This special offer is available on rooms taken up until the end of January 2018, excluding Christmas and New Year. The full amount is payable on booking and is non-refundable. 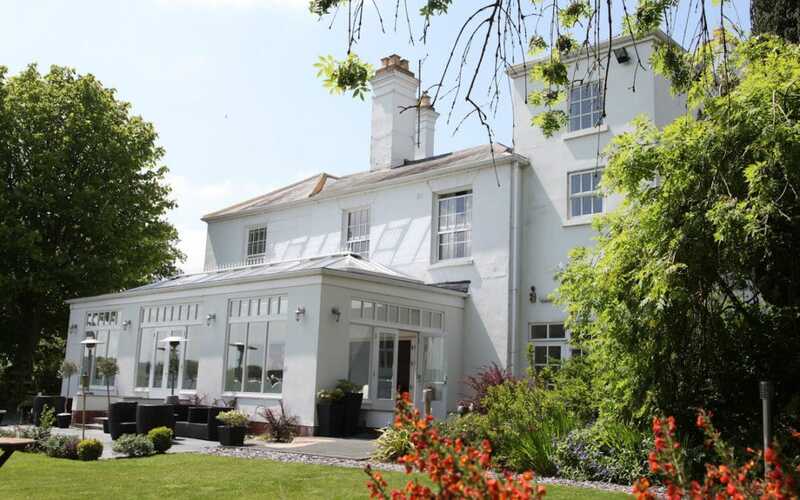 Guests can add dinner the hotel’s 3AA Rosette restaurant. Led by new Head Chef, Joe Gould, Forelles offers both a Bistro menu from 12-8pm each day and an a la carte menu from 6.30-9.30, every day except Sundays. Those seeking a spot of winter pampering can choose from a range of indulgent ELEMIS treatments in Fishmore Hall’s Spa. Running alongside the Black Friday accommodation offer is a special spa package of £45 for a one hour treatment, plus a glass of Prosecco and two hours to enjoy the spa facilities including the outdoor hot-tub, sauna, steam room and relaxation room.Sited in the hotel’s grounds, the SPAShell™, which recently celebrated its first anniversary, has four private treatment rooms, which can be linked to create two couples’ rooms for shared treatments. The Spa also boasts, a steam room, sauna, two thermal cabins, an outdoor Cedar hot-tub and oversized hammock for shared relaxation on the decking. There is ample relaxation space and an outdoor bucket and monsoon drench shower for an exhilarating winter experience. To take advantage of Fishmore Hall’s Black Friday deal visit www.fishmorehall.co.uk. and use promotional code DEC75 when booking.